I'm not sure whether this version of Nero supports autorun DVD. If you have a full version of Nero, then use it to burn DVD. 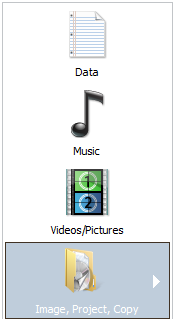 Hopefully DVD or Video options will let you create autorun DVD that can be played on a DVD player. At least you should give a try.